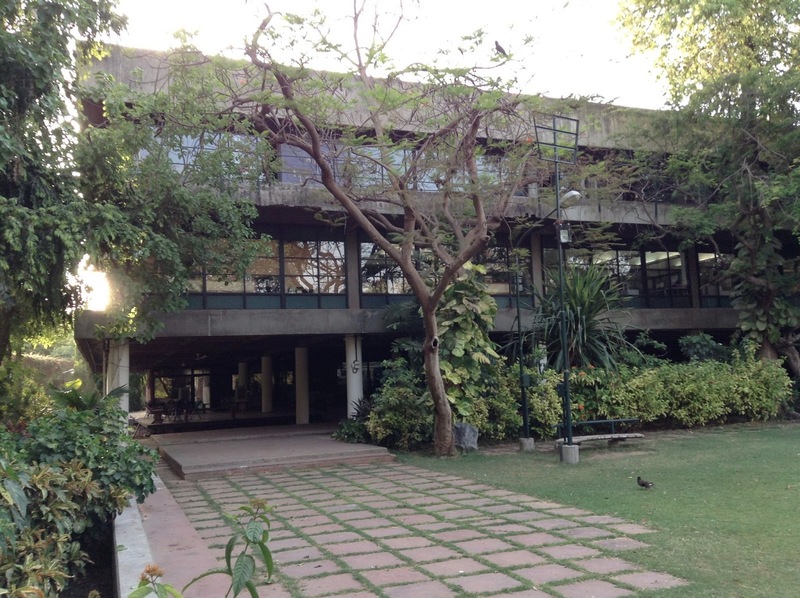 Design Education for India: What should be our focus and areas of emphasis? With several new design schools coming up in the private sector as well as the four new National Institutes of Design (NID) that are being set up by the Government of India in different regions of India we have at our hands many questions that would need ot be addressed if these are to be truly useful for the needs of our times. In 1961 when the first NID was set up at Paldi, Ahmedabad it was informed in its content and scope by a vision report articulated by the team of Charles and Ray Eames, an eminent American design couple who produced the India Report at the request of the then Prime Minister, Pandit Jawaharlal Nehru. We now know that the four new NID’s would be located at Jorhat, Hyderabad, Kurukshetra and Bhopal since the foundation stones have been laid for three of these already and the fourth must be waiting for the right politician to find time to grace the occasion at a short notice, since all the others were done in indecent haste in any case with very little notice given to the design community at large. We are not aware of any approach paper or feasibility report that has been drafted for the new NID’s and it is widely assumed that what worked in Paldi will work for the future as well and this is unfortunately a very lazy assessment. Very little is visible in the public domain for the plans and future actions proposed at the four new NID’s except the three foundation stones that are in place and very little else by way of intellectual articulation of focus, curriculum and strategy that would inform the management and growth if each of these new NID’s in the days ahead. A group of concerned design activists formed and set up a group called VisionFirst <http://visionfirst.in> soon after the Government and the Department of Industrial Policy and Promotions (DIPP) that handles NID matters at the Central Government level had called for public tenders for the setting up of these proposed four new schools of design and the manner in which the matter was handled at that time led to much dissatisfaction in the design community online as well as in many pockets of serious interactions. Thanks to this public pressure and the intervention of Sam Pitroda at the Planning Commission level the plans were modified and the effort was made to make the Institutes fully Government owned and operated. The VisionFirst group had been calling for a fresh assessment of needs in the country and the experience that we have in the country is so diverse and that experience was at hand for the repositioning of design and its use at the heart of government and industry. The group was invited to meet representatives of theDIPP and at this meeting they suggested that wide ranging consultations would be the order of the day since design action in all these areas were available in the field in a pretty diffuse manner and offered to help garner these ideas based on which the country could move forward rapidly and with a clear focus. One of our colleagues on the VisionFirst group, Uday Dandavate, wrote to the DIPP to supplement the submissions made by the core team in their face to face interaction at New Delhi. This submission can be seen at this link on the VisionFirst blog site. However I quote two highlighted paragraphs from Uday’s letter that capture the essence of our concerns. There was a long silence after these interactions in 2011 and then there was a spate of stone laying functions at Jorhat and then at Kurukshetra and Hyderabad. The India Design Council held a three day conference on design education titled “DesigningDesign Education for India (DDEI) which many of us hoped would represent a progressive approach to national consultations but the website that called for perticipation opened public registration just one week before the event and many of were excluded from this event due to tight time planning that would have been required to make it to the event. I hope that the event that did take place was a useful one and that we will soon see some of the discussions that did take place there and that the website will soon be updated and provide the proceedings for public review. http://www.ddei.in/ What the VisionFirst team and in particular Uday Dandavate in his letter to DIPP had offered was a platform for co-creation and what was managed was a seminar with “peer reviewed paper” whatever that means in this particular context, all done in great haste in one week before the conference itself. If there are detailed plans drawn up by the DIPP and the NID administration, these should be shared with the Indian public and with the Indian design community before public money is expended on making clones of the NID in Paldi, Gandhinagar and Bangalore. Design is getting National attention today and the Indian Cabinet has placed its recommendation on the agenda of the Indian Parliament for the recognition of NID as an Institute if National Importance. What we are suggesting here is that we go one step further and make the NID and the design agenda one of national relevance as well. Design is a subject that evolves with time and is very context sensitive and this needs to be recognized when looking at new design infrastructure and education processes that will address the needs of an India of the current and the next century. The evolution of design education was the subject of my paper at the DETM conference at NID in 2005 and I offer it here below as a footnote to our call for a fresh rethink in the shaping of the new design education landscape for the India of today and the future. Paper submitted for the DETM Conference at the National Institute of Design, Ahmedabad in March 2005. Basic Design within Design Education has come a long way since its origins at Bauhaus and its further evolution at Ulm. At NID it has found a durable place in the Foundation programme offered to the Undergraduate programme students but is not yet seen as either critical or necessary in the various Post Graduate streams that are offered today. The assumptions seem to be that the mature students who enter these disciplines can pick up the concepts of design due to their advanced learning qualifications or backgrounds. The other concern that surfaces with the widespread use of computers is the notion the traditional skills need not be offered since design too has become a knowledge driven discipline with the significant use of computing tools thereby obviating the need for basic skill training. The author argues that basic design as it is offered in the Foundation Programme has evolved from a need that was originally perceived and dealt with at Bauhaus and Ulm as a critical orientation to design thinking and action and this need has not changed in spite of a substantial change in the tools and processes of design in the information age. We therefore need to revisit the traditions of design learning and try to understand the role played by basic design and see how it should be woven into the process of inducting new entrants into the realm of design thinking and action. Design is taking on new meaning and it is increasingly being separated from the skillful base that it was originally married to due to the tools and traditional processes that are a fallback of various historical stages of evolution in a large number of disciplines. Design is being recognized finally as being distinct from both art and science and the search for educational processes that are distinctly designerly may not be a misplaced pursuit. Modern design education had its roots in the Industrial revolution when changing modes of production displaced existing crafts traditions and apprenticeship processes through which design used to be transmitted to new incumbents within guilds, work spaces and educational settings which echoed the situations that existed in the realms of practice. The Bauhaus in Germany was the first school to formally create a series of assignments within a curriculum to prepare new students to enter a journey of design learning. Set up in 1919 after the end of the First World War, the Bauhaus was a center of creative expression that housed some of the greatest design thinkers of our times. The educational experiments of the school still find an echo in all design education across the globe. What the founders of the Bauhaus tradition formulated is of value since they were looking at those qualities that needed to be nurtured in the art and design student, both in the form of skills and sensibilities as well in their conceptual abilities and attitudes when dealing with materials and the real world of design action. Thankfully for us the Bauhaus pedagogic experiments were published by the teachers as 14 remarkable monographs that were edited by the founders Walter Gropius and Laszlo Moholy-Nagy. The work that was started in the Bauhaus continued unabated after the teachers were dispersed to new locations by the upheavals in Europe that led to its closure. The foundation programme was however credited to Johannes Itten was a master at the Bauhaus from 1919 to 1923 when he left due to disagreements with Walter Gropius. His book “Design & Form: The Basic Design Course at the Bauhaus” was published much later in 1963 but the seeds sown at the Bauhaus were durable and it spread to most design schools across the globe. The focus of the Bauhaus Foundation was spelt out quite clearly by Itten and the core objectives and the teaching strategies employed are listed below. In the early years when it was implemented at the Bauhaus the various workshops were yet to be fully established. Several other masters, all painters and sculptors, from the Weimer days were involved in the instruction of theory and method, were called ‘masters of form’, while the craftsmen heading the workshops were ‘workshop masters’ were involved in technical instruction. The preliminary course called ‘Vorkurs’ was initiated by Itten and made compulsory a year later. Other masters contributed to its strengthening and in developing the core meaning that it held for the curriculum as a whole. What is significant about the Bauhaus Foundation course is the close interplay of theory and skill. The sensitive hand and the experience of doing structured assignments are used to raise awareness and to raise critical issues that lead to the development of convictions and conceptual understanding. The production and understanding of theory is therefore a direct outcome of numerous practical engagements within well-defined constraints of structured assignments that are mediated by the masters who use their diagnostic skills to advise and direct the learners to help discover creative potentials in themselves. This three stage process is iterated numerous times with various design parameters such as contrasts, form, colour, texture etc till the learner develops his critical faculties and is able to make his or her own judgments. The arguments that came up within the masters veered between theory and practice. Masters of form focused on theory and its application while the masters of workshops dealt with the practical. But in the early stages of the Bauhaus a lot of theory was perforce discussed in great detail at the Bauhaus perhaps since the workshops were still to be formally set up as the school was extremely short of funds. This set an unusual trend for design schools where theory played a lesser role with most teachers were practitioners who wrote very little. The masters of form at the Bauhaus were an exception to this rule. After the departure of Itten the foundation programme at Bauhaus was influenced by Albers, Klee, Moholy-Nagy, and Kandinsky. Further development of the foundation programme took place in the United States by the masters, each at their chosen centers of learning. One of the Bauhaus students, Max Bill went back to Germany to become the first Director of the new design school at Ulm, the Hoschule fur Gestaltung, that was to continue the work begun at the Bauhaus on the basic design courses under his active guidance. Max Bill managed to bring back some of the Bauhaus masters and their teachings to Ulm and he set up a course similar to the foundation course at the Bauhaus incorporating the advances made by Albers at Yale and Peterhans at the Institute of Technology in USA. The Ulm school design pedagogy went through many critical stages of transformation under successive leaders who came after Max Bill. Otl Aicher, Thomas Maldonado, Hans Gugelot, Herbert Ohl, Herbert Lindinger and Gui Bonsiepe made major contributions to the design pedagogy and in particular to the evolution of the foundation programme at Ulm. The Ulm too shared the results of teaching systematically with the world at large through the publication of the Ulm Journals, which represents one of the greatest contributions that was made to design education in the fifties and sixties. While Max Bill stood for an aesthetic tradition it was Thomas Maldonado who drew attention to the need for scientific temper in design education and its associated set of theory inputs. Maldonado understood that design needed to draw fro many other disciplines and the sciences and he talked about an almost feverish and insatiable curiosity towards some disciplines that appeared on the time horizon in the late fifties. Cybernetics, theory of information, systems theory, semiotics, ergonomics and disciplines such as philosophical theory of science and mathematical logic were explored to bring a solid methodological foundation to design thinking and action for the first time. The focus on science and methodology was a Pandora’s box that literally swallowed design thinking and sensibilities at Ulm for quite some time and it took great effort from the inner group of designers Maldonado, Aicher and Gugelot to reassert the supremacy of design at Ulm. The third and final phase of the Ulm pedagogy experiments brought in the use of the social sciences with Abraham A. Moles playing a critical role. The foundation course or “Grundlehre” focused on non-object-oriented design and the training of the hand and the eye and a number of assignments were innovated by the teachers. While Albers came back to teach colour at Ulm with a hand on approach, Itten who came later intellectually opposed Albers. Further the teaching of colour theory by Helene Nonne-Schmidt upset Albers who withdrew from teaching at Ulm. Maldonado took over the foundation programme and brought in simplicity and precision to the core of the assignments. Drawing too was modified to focus on reflective visualisation. In a way Maldonado carried out a purification of the Bauhaus way in the teaching of the foundation programme, he made it interdisciplinary and brought in theory of symmetry, topology and Gestalt. None of the Ulm foundation assignments had a practical basis and they were all abstract and non-object oriented in nature. The focus then could be on the understanding of principles and not on immediate application of the concepts. It was here that the basic design course got elaborated and evolved further to have a discipline focus, the assignments were developed to meet the needs of different disciplines such as graphic design and that of product design, industrialized building and information design. Maldonado stressed on the need for continued non-objective studies even in the senior years when students were dealing with real life design problems however with gradually reduced time allocated for such studies in the curriculum. The non-objective assignments provided the students with critical abilities in the judgment of form when applied to real design situations. In the search for new capabilities a number of three-dimensional assignments were innovated to suit the needs of product design students and nature studies and bionics got integrated into the search for science principles that permitted new explorations. So this does throw some light on the difference in lecture based conventional education and the hands on experiential education seen in the basic design courses at Ulm and now in many design schools. I also see that while "Design Research" may be about the creation of "design knowledge" the use of this knowledge in "Design Action" would be in the form of an exercise of contextual judgment in design synthesis when numerous threads of factors from multiple knowledge streams get embedded into a particular solution. Design education needs such critical-ability forming processes and not just knowledge gathering skills and processes. At NID too we have been keenly interested in the design pedagogy of Ulm right through the seventies and later and we were fortunate to have had faculty members who spent a good deal of time at Ulm in the sixties and therefore our programmes too got a strong dose of the Ulm flavor in the early years. Prof Sudha Nadkarni was a student at Ulm and Prof H Kumar Vyas was deputed to spend 10 months at Ulm before commencing our first Product Design programme in 1966. Our library also had the full set of Ulm Journals and these were a great source of inspiration. We have since been active in following the Ulm people having had contact with several of them over the years. Gui Bonsiepe and Kohei Suguira being the most prominent of these. Herbert Lindinger was a consultant to NID for the Product Design programme as well and his book is also in the library. The Ulm story never fails to inspire, since the achievements have been so stupendous. The Ulm will have great significance for the international design community for many decades to come since so much was done by way of path breaking thinking and much of it was documented in real time and now we have such a fantastic resource created by Rene Spitz that it opens up the material for further contemplation by a wider audience. My brief account (above) of the influence of Ulm on NID is far from complete and much new information will emerge if design historians subject it to serious research in the years ahead. Hans Gugelot from hfg Ulm was responsible for drafting the curriculum and then commencing the Product Design programme at NID. He visited NID in the early stage and he passed away soon after his return from India. He was followed by E. Reichl ( Director, Institut fur Produktuntwicklung, Neu Ulm) who was recommended by Gugelot and later Herbert Lindinger came from Frankfurt ( Institut fur Umweltgestaltung ) to evaluate the Product Design course and to help formulate the proposed undergraduate programme that commenced in 1970 which included the NID foundation programme across all disciplines for the first time. The other prominent teacher to visit NID was Prof Herbert Ohl. In the Visual Communications stream we had Christian Staub, Hfg Ulm, who set up our Photography Department and commenced the education programmes in Photography. We also had a strong German presence ( from outside Ulm) in Ceramic Design ((Zettler Lutz), Furniture Design ( Arno Vottler, Braunschweig and his students Rolf Misol 69-70 and Max Janisch 70-72) and in Exhibition Design (Frei Otto). There were perhaps others who are not mentioned in the available texts since the NID’s documentation and publication record is indeed very poor. Even Sudha Nadkarni who was a student at Ulm and who joined in Product Design as a faculty in 1967 was still at NID when I came to NID in 1969 as a student in Furniture Design. His name is not mentioned in the list of faculty of Product Design in our 1969 documentation titled "National Institute of Design: Documentation 1964-69", NID Ahmedabad. I am surprised at this omission and I am sure that there is some minor politics of that time at play here since I was personally interviewed by Prof. Sudha Nadkarni and Prof H Kumar Vyas along with the junior consultant and teacher Rolf Misol when I first joined NID as a student in 1969 April-May. Prof. Sudha Nadkarni left NID soon thereafter and set up the Industrial Design Centre (IDC) at the IIT in Bombay in 1969. He retired a few years ago and was then given the task of setting up yet another school, this time in the IIT Guwahati which is now the first undergraduate programme in design under the IIT (Indian Institute of Technology) fold. So three schools in India were directly influenced by the Ulm doctrine and many friends of Ulm have connected with these schools in the years that followed which has not been documented as yet properly. The NID library had the only set of Ulm journals in India and I made a xerox copy of the full set (piracy admitted) for the IDC library at the request of Prof Kirti Trivedi faculty IDC and a few years later he re-published some of the papers in a collected volume called "Readings from Ulm" which was used at a seminar on the influence of Ulm on Indian and world design. Prof Gui Bonsiepe and Kohei Sugiura, both alumnus of hfg Ulm, attended this seminar and I was there as well. 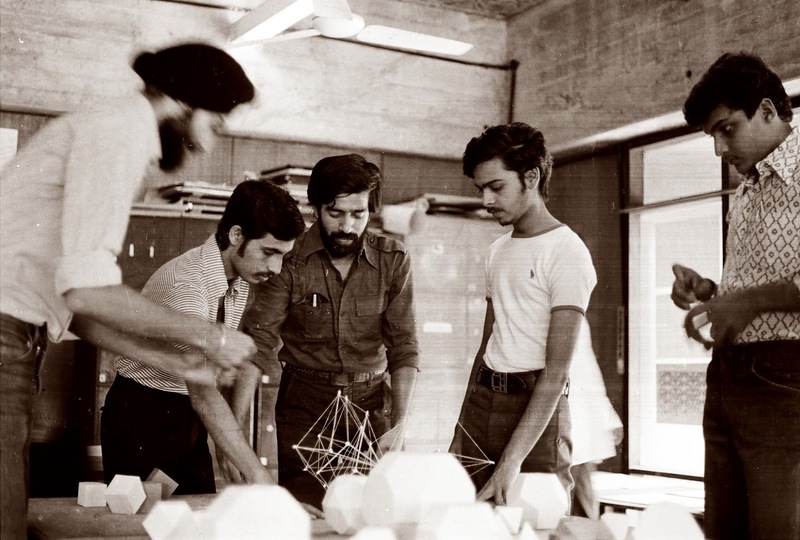 The NID Foundation Programme started with the first batch of undergraduate students joining NID in June 1970. Mohan Bhandari coordinated the programme and the teachers were drawn from the various existing disciplines at the Post Graduate level. At first the programme was an amalgamation of inputs from primarily Product Design and Graphic Design programmes. Freehand Drawing, Composition and Colour came from the Graphic Design stable and drew heavily on the Swiss graphic traditions implanted at NID by Armin Hofmann from Basel who helped set up the NID’s Graphic Design programme in the early sixties. The other courses of Geometry, Elements of Form and Space, and Basic Materials drew on the Bauhaus and Ulm models for assignments and pedagogy. Basic materials too faced pressure from downstream disciplines and the Textile faculty introduced linear materials as an input in addition to the traditional wood and metal workshop assignments. Colour quickly moved to the Textile design teachers but a Product Design faculty always offered colour theory. The foundation programme was of three semester duration across one and a half years. The third semester was used for basic courses offered by the disciplines and these included Typography, Photography, Film Appreciation and Music Appreciation to provide media skills to all students. Design Methods was the final course at the end of the programme and inputs in science, mathematics and liberal arts were offered as lecture modules. The teachers freely experimented with basic design assignments and there was much discussion on the effectiveness of particular courses as feedback from the disciplines to the foundation teachers. Individual teachers had access to a very rich library from the Bauhaus, Ulm and several other schools which had linkages with NID through the Ford Foundation sponsored consultants who had helped set up the early education programmes at NID and they were also responsible for training the first batch of NID faculty. Mohan Bhandari was deputed to Germany to work with Herbert Lindinger for a year and on his return he was asked to coordinate the foundation programme. In 1975 he was given the task of reviewing the foundation programme with the teachers and the management consultant advising on Inter-personal relations, Professor Pulin K Garg from the Indian Institute of Management, Ahmedabad. Through numerous meetings all the foundation inputs were reviewed and discussed with a view to integrate these into a cohesive unit rather than as a collection of disparate inputs from the specialised disciplines. This process continued well into the late seventies beginning with a revised programme that was created and offered to the batch of 1976. This was the first time that the NID foundation had a new look and an environmental focus that transcended the traditional inputs from the Bauhaus, Ulm and the Swiss and French schools of design. The Design Methods course was then called Design Process as the problem solving process in design and inputs in sociology, psychology and field exposure were offered as a preparatory set of inputs. The approach in Space Form and Structure too had an environmental bias and this had extended to Geometry as well. I recall that both G Upadhyaya and I had severely critisised the geometry course with excessive environmental bias during the first faculty forum meeting in 1976 and thereafter we were asked to develop the course and conduct the same, which we did for many years thereafter. By the end of the decade Mohan Bhandari set out to capture the revised NID foundation programme as a manuscript for publication. However he left the Institute in 1982 and unfortunately the book was never printed. I did try in 1991 to get him to agree to take the project forward in my then capacity of Chairman Publications but he declined the request since he felt that he had moved on in his views and could no longer relate to the contents. It was a great loss for design knowledge. At NID there was a discussion on teaching maths to designers at design schools. Here too there is a difference in both content and style of delivery for design students. In 1976 I was involved in the creation of a new course aimed at teaching maths to design students at NID in our foundation programme. The course was called "Geometrical construction" at that time and in later years "Geometry and Morphology" where we introduced design students to a vast array of math concepts through many exciting practical drawing and model building assignments including recreational maths puzzles while relating these tasks to the body of numerical expressions and algebric expressions using visual analogies. While I cannot claim that it is a complete substitute for formal instruction in mathematics, however it provides students from non-math backgrounds sufficient conceptual tools to deal with complex structural and formal math and logic problems. I helped teach this course for many years before handing it over to my younger colleagues who happened to be my students in the early days. We discovered that the domain of visuality is under valued in most areas of formal education at the school level while the emphasis is greatly on textuality and numeracy and we set out to correct this imbalance. The Space Form and Structure modules exposed the students to elements of form and space using concepts of semiotics and Gestalt theory of figure and ground relationships. A number of exploratory assignments are given and the results are discussed to help build an attitude of exploration and experimentation with visual language and in the visualisation of ideas leading to a degree of fluency of concept articulation in the visual medium. The Environmental Perception and Environmental Exposure modules got the students out of their studios in an attempt to connect with society at large both to bring the real world concerns into the classroom as well as to help prepare students in the early stages of the Design Process where they were expected to identify meaningful design problems before setting out to solve them with the use of various design methodologies. The design process course went through a number of cycles of development under different teachers. In the first phase the problems had a distinctly scientific basis, and all introductory assignments had low technical complexity, usually very simple products were chosen and these were redesigned using ergonomic and functional explorations and the stages were documented and decisions were justified, usually after the fact. In the second phase more complex problems from the environment were identified and these required more elaborate processes of information collection and analysis. The third phase that began in the mid eighties took on a more systems focus and design tasks were treated as a process of understanding complex situations through which many potential solutions were explored. Today this course is called “Design Concepts and Concerns” and it is offered to students from all post graduate disciplines at NID in addition to the module offered at the undergraduate level. This systems model of design that some of teachers adopted for building courses and to conduct research and client interventions had over the years given us the conviction that design in India is quite different from that which is practiced in the West. Design for development has been discussed at many platforms for discourse on design, many a time leading to utter confusion with the debate being clouded by as many differing definitions of design as there are people in the room. Notwithstanding this difficulty with the subject as complex as design we were convinced of the need to use the power of this discipline to further the real needs of a huge population desperately seeking solutions to many vexing problems in a very tight economic climate. It is our belief that design at the strategic level can be used as a catalytic tool to mobilise innovations and policies that can indeed transform the country in more ways than one. 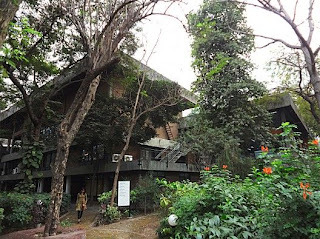 This ideological bearing has informed many initiatives of design action at NID and it was reinforced at several critical stages by confirmation of our methods and goals by the work of other visionaries who were examining the role of design for development. The UNIDO-ICSID conference on Design for Development that was held at NID in 1979 and the work of Victor Papanek, Nigel Whitely and Gui Bonsiepe, all of whom came to NID for brief or longer periods, left a mark on the thinking of the design teachers at NID. Design in India was being discovered as a whole new genre of action through the application of design principles through research and development to new areas such as the development of crafts, health communications, strategies for small industry, and in areas of social and economic development while working at the community level. Today we have an even broader definition of design, that is design as a vehicle for leadership as articulated in the “Design Way: Intentional Change in an Unpredictable World” by Harold G. Nelson and Eric Stolterman, who approach design as a form of leadership from two assertions quoted below. Quote: “The first is the belief that good designers (when not acting as applied scientists or artists) are leaders by definition. They play an essential instrumental leadership role in any change project. The second is that good leaders, including entrepreneurs, act as designers even if they do not identify themselves as such or are not identified by others as designers. They do not define their work in the language of design because they have not been brought up in that tradition, but their intentions are nevertheless realized through designerly behavior. I have found this to be the case whether the design is of a new nation, a governmental agency, a business or service, a research project, a curriculum or any number of other examples. However, without a common framework or language that is design-based, it is difficult to build a full appreciation for the role that design thinking and designers play in the thousands of ways that design shapes the world at every level, every day,” unquote. To this new dimension and goal for design education we can add the impact of new tools that take us into the digital realm of performance in many disciplines. This raises many questions and many assumptions are made about the nature of design education in today’s world that may not hold true at a deeper examination. It is assumed by many that Post Graduate students need less intensive inputs and resources to make them into designers and design thinkers when compared to the under-graduate group. The second category of design thinkers are seen as a real need and alternative to designers in a knowledge driven world and this is particularly worrisome since it is assumed that design thinkers can be trained without the burden of learning skills through the adoption of digital abilities in lieu of the analog capabilities that has been the historic vehicle for basic design education so far. We know that design thinking and design sensibilities are earned through hard practice and through a process of systematic induction training and these are distinctly different from the development of science based knowledge and attitudes that takes place on a daily basis in the university system of education. The methods of teaching adopted at the Bauhaus, Ulm and now in the NID experience have all generated huge success stories in the creation of the thinking and sensitive designer who is able to make critical judgments on complex issues and perspectives and then they are also able to act in ways that help solve these problems using creative scenarios and alternatives which reflect their deep understanding and empathy with the milieu in which the opportunity is located. This capability of effective design action is unique to designers who by virtue of their training are able to act on the real world and create future scenarios that can be embedded in the real world as analog solutions even if they were mediated by digital means. This brings me to a series of linked statements by the founder of Ulm, Otl Aicher, in his book “analogous and digital” where he says ”….the culture of thinking requires the culture of the hand as a subtle, sensitive organ.” He goes on to say “…we are rediscovering the domain of making as a prerequisite of thought.” Many modern innovations have been produced outside the domains of large and organized industry, in garages and shacks outside industry with small teams of motivated individuals. “…human ability to make anything, his ability to design anything is atrophying…we have become children of a thought culture that has disconnected thinking from making…..the more we know the less we can do” and this is not the design way. There is much wisdom in the search for processes by which basic design evolved at Bauhaus, then Ulm and later at NID and these lessons must not be lost because we throw away the baby with the bath-water when we replace wholesale the analog processes of design education with digital tools sets that we see all around us, particularly at NID. I am concerned that many of the new disciplines at NID that attempt to teach design as a narrow specialization at the Post Graduate level are not equipped to handle analog design processes, that is to use the hand as a firm route to the inner recesses of the mind in order to create the deep understanding that is the hallmark of basic design education that has been proven and tested by time. Let us pay heed to the masters of design thinking who have created an alternative to science education and learn those lessons which we will need to take forward with new experimentation and testing based on new frameworks of theory that would inform the design educational processes in our changing times. 50. M P Ranjan, “The Levels of Design Intervention in a Complex Global Scenario”, Paper prepared for presentation at the Graphica 98 - II International Congress of Graphics Engineering in Arts and Design and the 13th National Symposium on Descriptive Geometry and Technical Design, Feira de Santana, Bahia, Brazil, September 1998.